David Wood, a former senior civil servant at the Home Office who previously revealed that the United Kingdom is likely hosting over a million illegal migrants it is unlikely to ever remove, warned the Telegraph that the authorities must put a stop to the ongoing crisis in the English Channel. If they do not, he believes a tragedy at sea in the world’s busiest shipping lane is inevitable, and that there will be a “hue and cry” if a boatload of illegal migrants are drowned. “As far as organised crime is concerned, it’s de-risked their business. 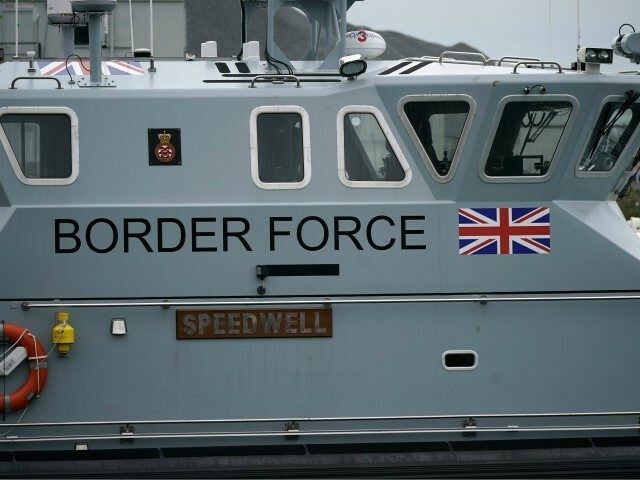 They know they don’t have to get right across the Channel and land, they can get halfway across and the migrants will be taken the rest of the way,” he explained. A similar situation played out in the Central Mediterranean before Italy’s tough populist Deputy Prime Minister and Minister of the Interior Matteo Salvini took office, with people-smugglers taking advantage of EU and NGO search-and-rescue services to reach Europe at minimum cost. “SAR operations in the Central Mediterranean unintentionally help criminals achieve their objectives at minimum cost, strengthen their business model by increasing the chances of success,” the EU Border and Coast Guard Agency (Frontex) admitted in its official Risk Analysis for 2017. “We have to stop this or it will grow and grow,” said Wood of the hundreds of illegal migrants, who generally claim to be Afghans, Iraqis, or Iranians, who have crossed the Channel by boat in recent months. “It will escalate. The answer is to return them to France as soon as they are picked up,” he insisted. Wood believes this would “not be unlawful if the French agreed” — an indirect acknowledgement of the fact that, under EU law, it is more often than not impossible for Britain, as an EU member-state, to simply deport illegal migrants arriving from France. This is because, although France is a safe a first world country, EU regulations require member-states receiving illegal migrants to deport them to the first EU country they entered, rather than the last one they were in — with no real way to remove people if this cannot be determined.